DO YOU MEASURE OR DO YOU NOT MEASURE? The following are the 3 criteria used by the advisory boards of the ADA and FDA to determine whether electronic instrumentation meet the argument of validity and reliability. Can you measure a known physiologic parameter? Are you measuring what you say you are measuring? Does that measurement add to the diagnostic information? If you answer “yes” to all three questions it is a valid and useful measurement adding to the differential diagnosis. Both the ADA Council on Scientific Affairs and FDA have evaluated neuromuscular measurement instrumentation and found them to meet each of these criteria. There is no argument of validity that TENS, CMS, EMG and ESG are reliable. These devices would not have the ADA Seal of Acceptance or FDA 510K clearance if they did not pass scrutiny. Question: Have all the previous commonly used methods and devices used in the treatment of TMD/orofacial pain management ever past the ADA and FDA scrutiny? Speed of Mandibular Opening/Closing Before TENS in Sagittal/Frontal/Velocity Mode – Shows speed of mandible during opening and closing BEFORE pulsing. Freeway Space Before TENS in CMS Sweep Mode – Shows 3 dimensional movement (relative to time) of the mandible from physiologic rest to C.O. BEFORE TENsing. Freeway Space After TENS in CMS Sweep Mode – Shows 3 dimensional movement (relative to time) of the mandible from physiologic rest to C.O. After TENsing. Bite Registration in Sweep, Sagittal/Frontal Mode – Shows the physiologic trajectory of closure (Myo-pulse) and habitual movement of the mandible from rest to C.O. Swallow Pattern in Sagittal/Frontal Mode – Shows mandibular movement during swallowing to identify tongue thrust. Speed of Mandibular Opening/Closing in Velocity Frontal Mode – Shows speed of mandible during opening and closing AFTER pulsing. Chewing Patterns in Sagittal/Frontal Mode -Shows 3 Dimensional movements of the mandible during chewing. EMG Resting Levels Before TENS in EMG Raw Mode – Shows EMG muscle activity with the patient at rest Before TENSing. EMG Resting Levels After TENS in EMG Raw Mode – Shows EMG muscle activity with the patient at rest After TENsing. EMG Clench Test in EMG Processed Mode – Shows the amount of muscle activity during clenching. First Tooth Contact in EMG Processed Mode – (Rest) Shows firing order of the muscles to determine first contact. Mandibular Range of Motion – Shows Patients range of motion. Joint Sound Tracings with Corresponding CMS Tracings – Record bilateral joint sounds simultaneously with jaw tracing (vertical and velocity). The rigged and biased entity of those engage in an anti-instrumentation agenda was exposed long ago in the “TCB Department of Health and Human Services Public Health Services Food and Drug Administration – Dental Products Panel Meeting Open Session Volume 1“, report on Tuesday, August 4, 1998. 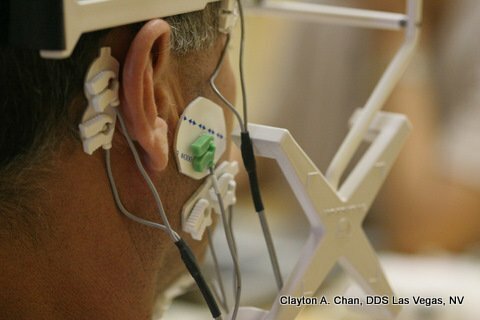 A group of neuromuscular minded K7 dentists even offered to help participate in research with other colleagues involved with NIH, but time and time again their offer and assistance has been declined. One has to wonder why?